Make a child's name part of a story, and it's irresistible. 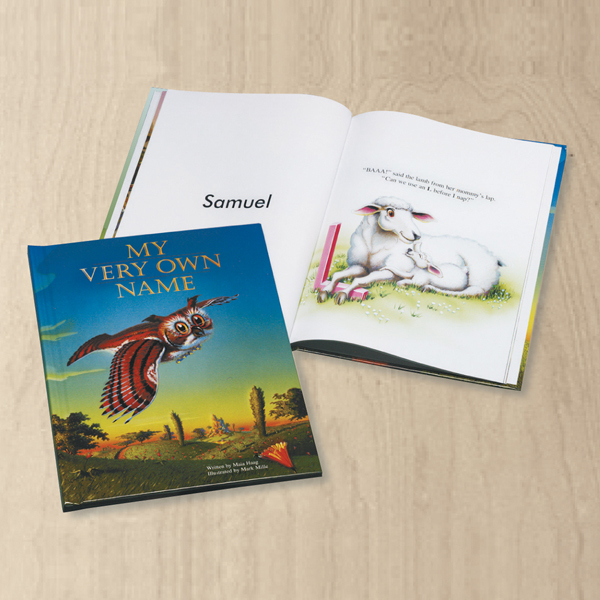 In this book, the name is the story. Animals spell it out in rhyme, one page and one letter at a time. A jackal brings a J, and Ostrich brings an O, and so on. Children will be fascinated. Specify boy or girl names, and date of birth. Hardcover; color illustrations; number of pages depends on name. Ages birth to 6 years. Please allow 4 weeks for delivery. Sorry, no rush delivery or gift box available. Item can only be shipped within the Continental US.